EM-ONE developed contract-ready solar system designs for select general hospitals, primary health centres and schools in the Northeast of Nigeria, an area suffering a major crisis due to years of Boko Haram insurgency. We provided turnkey EPC of 3 proprietary standard solar micro grids at three General Hospitals across Borno State. 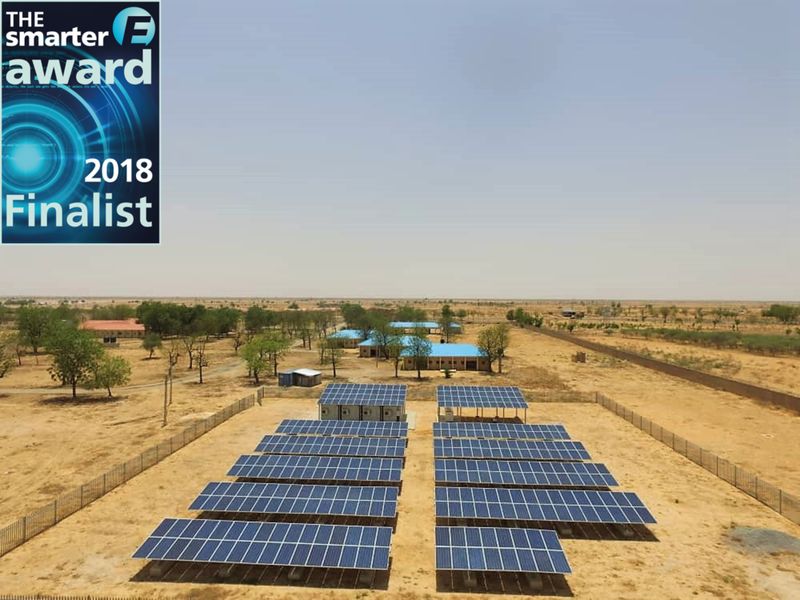 Borno Solar Phase 1 was a finalist at The Intersolar's 2018 The smarter E Award in the "Outstanding Projects" category. EM-ONE provided design consultancy, project management, and test & commissioning services. The project comprised of 213 off-grid solar systems with integrated backup battery banks and remote monitoring systems installed at 11 Primary Health Centres and 175 secondary schools across 10 Local Government Areas. EM-ONE undertook the site survey, front-end engineering & design consultancy of 40 off-grid PV systems at primary health centres across Kaduna State, as well as the project management for construction & installation of 34 of these systems. EM-ONE produced a mini-grid masterplan through the site survey of 10 Wards across Nigeria that informed the front-end engineering of give standard solar system designs and six business models that could be scaled on a national level to address energy access challenges faced in rural and unelectrified parts of the country. Project Management & Engineering Support to Nigeria Infrastructure Advisory Facility (NIAF) for 22 numbers of TCN Transmission substations and lines. Design & Engineering of grid interconnection (substation & transmission line) of 80MW Solar Farm in Nigeria. Design, Engineering and Construction of Solar Hybrid Systems for Total Service Stations in various locations in Nigeria. The Rural Electrification of 200 communities across Nigeria for various state government, Federal Ministry of Power, and Rural Electrification Agency, Nigeria.